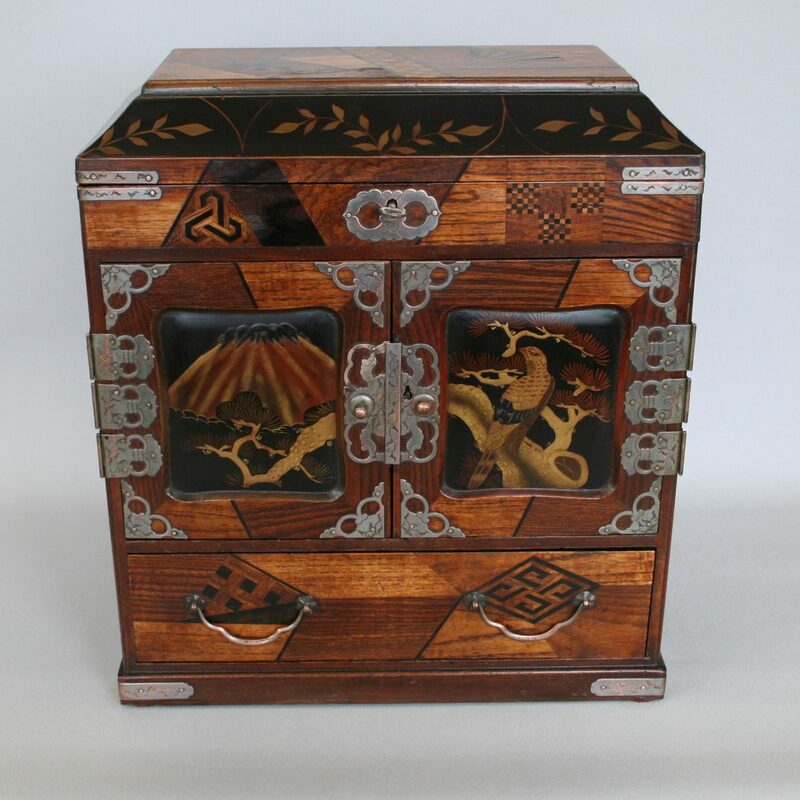 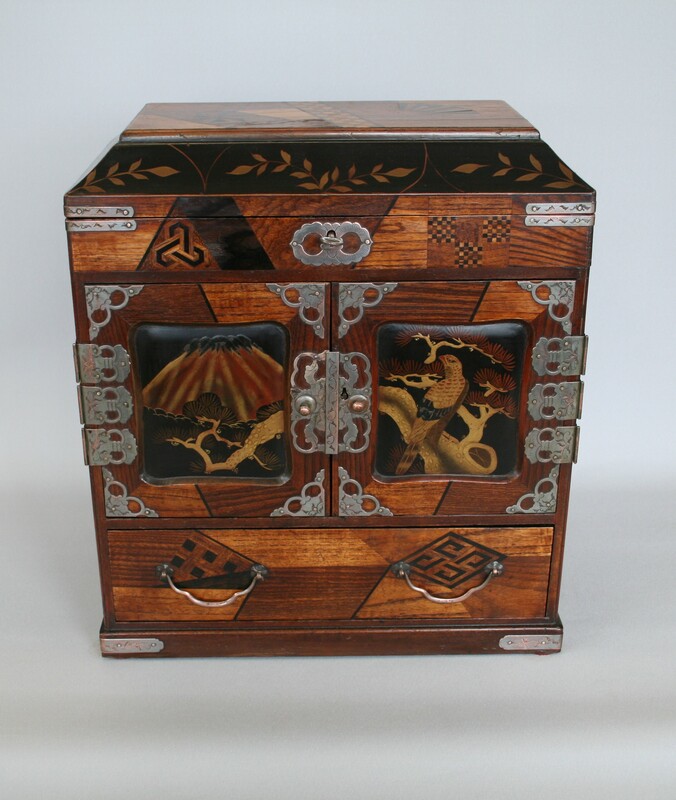 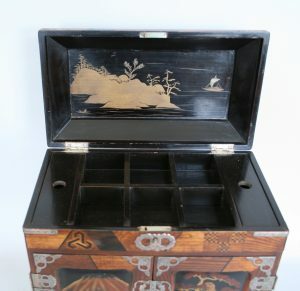 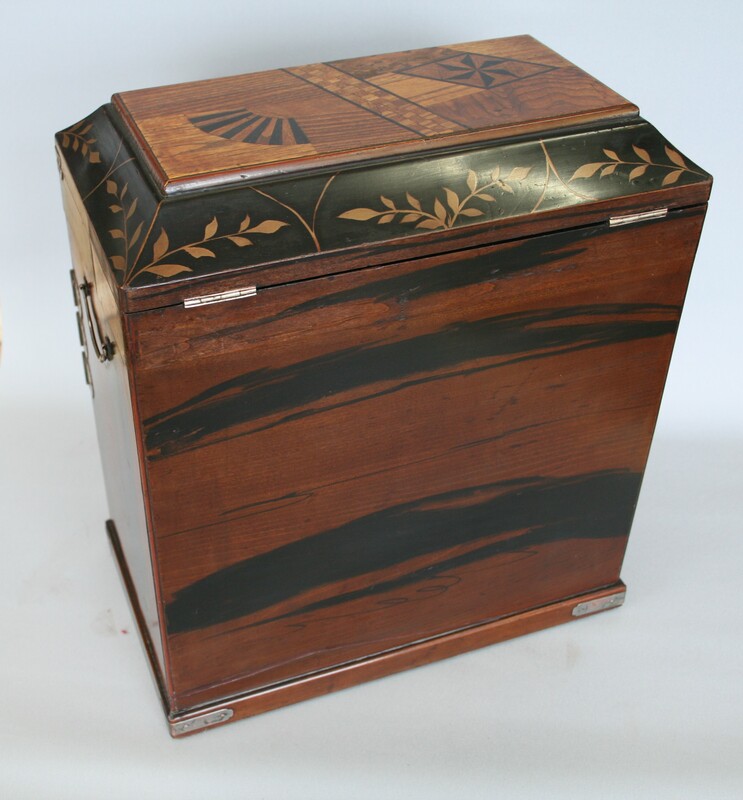 An oriental table cabinet in a parquetry design in specimen woods. The lift up top opens to reveal compartments. 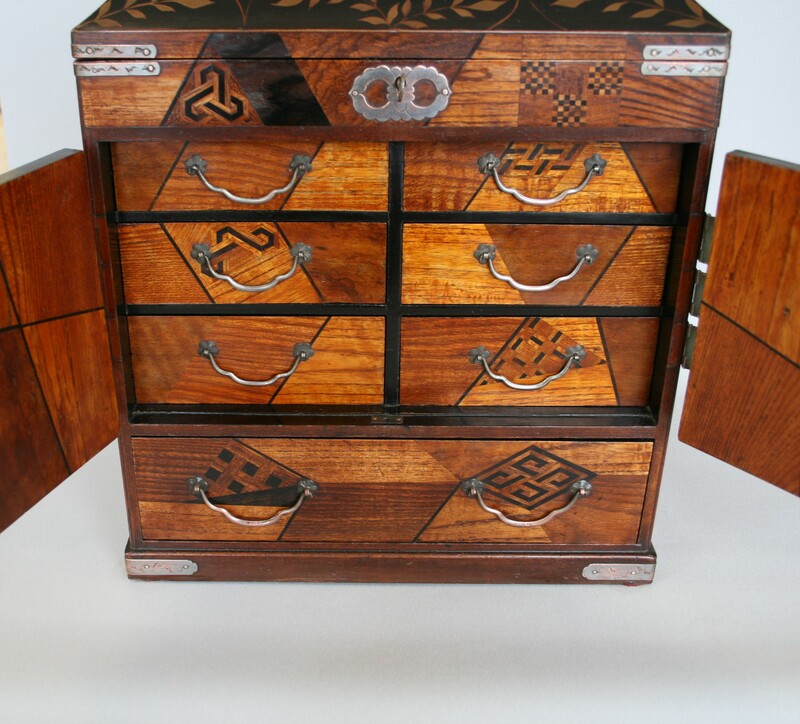 Below are a pair of lacquered panelled doors, behind which are a series of six drawers. 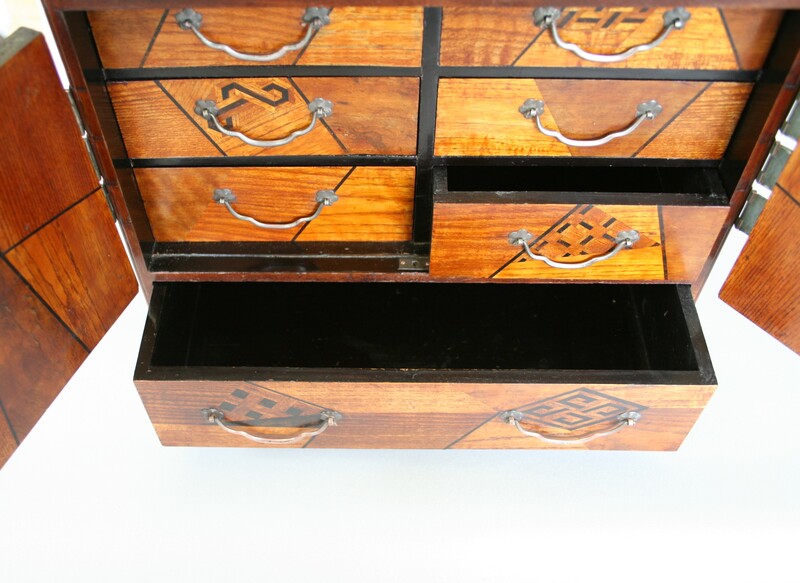 There is a separate larger base drawer. The door hinges, handles and catches are silver plated.